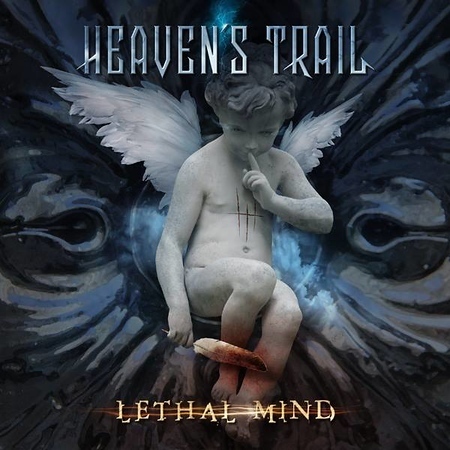 “Lethal Mind” is the debut album from German band Heaven’s Trail and it was released on 26th October by Escape Music. The band was formed by a former member of Jaded Heart and includes current members of that band and also of Masterplan, so it certainly has a good pedigree and plenty of experience. I included the title track from the album on the Friday NI Rocks Show on 2nd November. Heaven’s Trail was formed by guitarist Barish Kepic who had played previously with Jaded Heart (from 1999-2006) and PowerWorld (2005-2011) as well as Evidence One for a short period. He recruited current (and founding) Jaded Heart member Michael Muller to play bass alongside current Masterplan members Rick Altzi on vocals and Kevin Kott on drums. Kepic also plays keyboards on the album and there are some guest vocals from Jioti Parcharidis of German band Victory. There isn’t much more that I can tell you about the band itself really, but the album as mixed and mastered by Brian Anthony and produced by Kepic. The latter is also the principle song-writer.